Washington, DC: You think that the Federal Aviation Administration (FAA) and the US Department of Transportation (DOT) are supposed to protect you from plane crashes so it may come as a surprise that both organizations are being sued for allegedly failing to act on safety recommendations. Yet that is exactly what has happened: two transportation safety organizations have been accused of allowing airplane crashes to occur because of their own inaction. The National Air Disaster Alliance/Foundation (NADA) has filed the lawsuit, saying that the FAA and DOT have allowed plane crashes to occur by not following the recommendations made by the National Transportation Safety Board. Specifically, recommendations made on the NTSB's "Most Wanted Transportation Safety Improvements," which dealt with defects in plane design or flight operations, were allegedly ignored, resulting in plane crashes that could have been avoided, had the recommendations been followed. The Alliance refers to such crashes as "déjà vu disasters." The phrase refers to plane crashes that are similar to those who have happened before and may have been prevented if the FAA had taken action on NTSB safety recommendations that were made 15 years ago. Such disasters include plane crashes involving plane icing—a possible cause of the February 12 crash that killed all 49 people on board and 1 man on the ground. "As a direct result of the DOT and FAA refusal to adopt the safety recommendations of the NTSB, hundreds of lives have been needlessly lost," the lawsuit states. The lawsuit demands that the FAA adopt NTSB recommendations regarding icing and runway safety. Some of those recommendations are over 15 years old, while others are over 10 years old. The lawsuit does not seek monetary damages. The NTSB has deemed the FAA's lack of action on its recommendations as "unacceptable." In a recent edition of its "Most Wanted Transportation Safety Improvements," the NTSB stated, "Before another accident or serious incident occurs, the FAA should evaluate all existing turbo propeller-driven airplanes in service using the new information available" regarding freezing rain. NADA notes that during the 15 years that the FAA has studied airplane icing there have been 3 turboprop plane crashes and 100 casualties. Critics of the FAA and DOT say that they are too close to the airline industry to properly regulate and investigate it, even allowing people hired by airlines to participate in investigations. People who have lost loved ones in plane crashes say they back the lawsuit and it is time for the FAA to take passenger safety seriously. 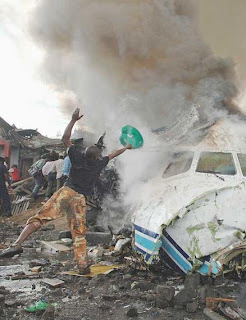 The National Air Disaster Alliance/Foundation was founded by air crash survivors and family members of victims to raise the standard of safety for airplane passengers.